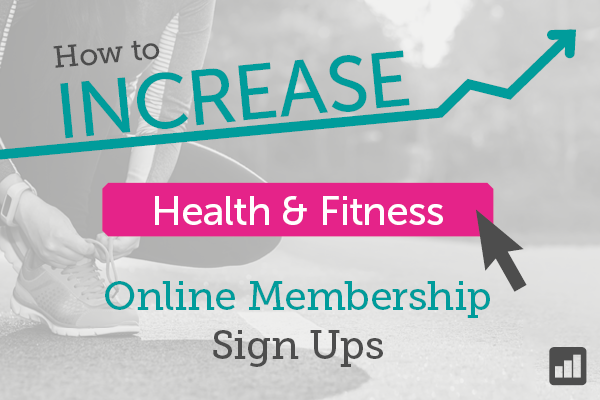 Ever wondered how you can increase membership sign ups within your health and fitness club? Well, considering the Health & Fitness industry in the UK has an estimated worth of £4.4bn and over 9 million members(1) – it’s no wonder increasing membership sign ups is important! With over six thousand Health & Fitness clubs in the UK and over 200 new ones in 2016 alone(1), it’s important that you understand what you can do to increase online membership sign ups in order to survive in such a competitive market. A recent survey of the UK’s health & fitness sector, conducted by online abandonment recovery specialists Optilead, concluded that 85% of membership sign up abandonment leads are ignored(2). The testing included 3 mystery shopper tests for membership sign up abandonment on each website. This involved dropping out of the sign up process before completing the membership payment, but providing a name, telephone and email address to enable each company to engage with the prospect. Despite the average membership value being nearly £300 only 15% of the tests resulted in an email follow up – and more surprisingly, only 1.67% resulted in a call to say we hadn’t completed our membership. The average response time was 38 minutes – more than enough time for any prospect to find another club and sign up immediately. Excelling in customer service at every opportunity is well known not only to increase life time value, but also perception of a brand. Going that extra mile at the beginning of a prospect’s journey will set your fitness club apart from your competitors. Recognising the moment someone fails to complete your online membership sign up will enable you to engage with them immediately and increase memberships. Optilead provide a unique multi-channel solution to enable your business to track, capture, connect and convert leads instantly. Optilead’s real-time solution identifies abandonment the moment it happens. That’s critical – it means you don’t have to wait over half an hour to capture a prospect’s details via session timeouts. Once abandonment has been identified, each lead is automatically filtered through your own prioritisation rules to determine which leads should be contacted and by which communications method – phone, email or SMS. Leads of a high value should always be contacted through phone as it offers conversion rates in excess of 20%. Optilead’s platform automates the calling process instantly by sending your customer services or sales team a screen pop the moment a call is available. Once your agent sees the membership abandonment details they trigger the call all through one platform so you can instantly see the call data which includes accepted calls, calls connected, calls over conversion time and more. Being able to connect to prospects within the first 15 minutes of abandonment enables your business to convert leads that would otherwise be left in the abyss and more than likely go to your competitors. You are 3 times more likely to convert a lead by calling it within the first 15 minutes than leaving it an hour. One thing we really advise though is, don’t go onto the call trying to sell! Experience with existing clients shows that sales come naturally when you excel in offering support, understand the prospects requirements and offer membership advice. With this solution there is also little need to offer discounts – a technique commonly used in email remarketing – as you have already excelled in customer engagement. Optilead’s solution will instantly email leads of a lower value or those you cannot reach via telephone. And once memberships have been completed we recommend utilising SMS to send a timely membership activated notification. You can also send text messages at low traffic times or when you are looking to fill classes – to remind members when they can access the club or what classes are on this week! To find out how your health and fitness club can benefit from Optilead’s solution please call 0800 011 4105 to speak to one of our Customer Engagement Specialists.